The White House and Senate results are not the only great news for conservatives. In what seemed like an impossibility given their already-dominant control of state governments across the country, the GOP made even more gains in state legislatures on Election Day. 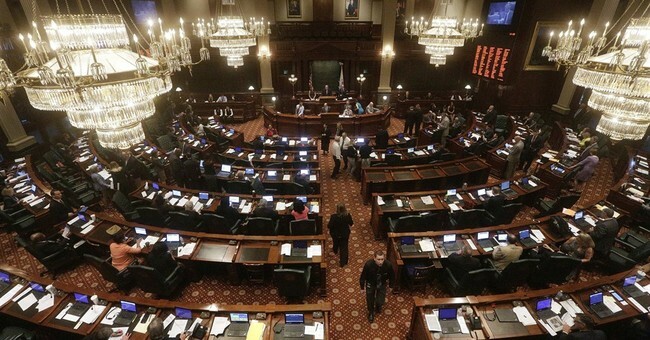 While lots of state governments in America are divided in partisan control, Republicans and Democrats do hold trifectas in numerous states - trifecta control being when a single party controls the governor’s mansion and both legislative chambers. Democrats went into Election Day only holding trifectas in seven states – their lowest totals since the Civil War (when the country was 15 states fewer). It seemed plausible the only direction they could go was up. Democrats only retained five trifectas across the country amid more Republican gains at the local level. Republican Phil Scott was elected governor in the blue bastion of Vermont, putting a check on their Democratic controlled legislature. The GOP also battled to a tie in the Connecticut state Senate. Republicans finally gained control of the Kentucky state House – the remaining legislative chamber in the South to be controlled by Democrats. They also won majority control of the Iowa Senate. Regarding the Kentucky and Iowa wins, Republican candidates unseated Iowa Senate Majority Leader Mike Gronstal and Kentucky House Speaker Greg Stumbo – making GOP gains there all the more symbolic. Democrats may have successfully unseated North Carolina Gov. Pat McCrory (no official call has been made, however, Attorney General Roy Cooper is leading), but Republicans maintained their super-majority in the state capitol – denying a future Governor Cooper of veto power. Local Democrats will only control all the levers of power in five states: California, Delaware, Oregon, Hawaii, and Rhode Island. In comparison, the GOP will enter 2017 holding trifectas in half the country’s state governments.